By starving varsities of funds, to imposing CCS Rules in JNU, and now the move to invoke ESMA in Delhi varsity, the BJP govt is trying to turn higher learning institutions into govt departments. Are public colleges/universities being left to die at the cost of private universities in the US? Describing how Yale ‘..[s]its on a mountain of money, and yet receives more and more from public funds ‘and how the government itself ..[s]ubsidizes the immensely wealthy Ivy League schools’ and how the federal and state governments spent over $40 billion on the Ivy League schools in tax exemptions, contracts, grants, and direct gifts’, the study relates how in the same state of Connectinut ‘twelve community colleges and four public universities — are starved to death by austerity and neoliberalism’. Browsing the article, one was reminded of a thought-provoking write-up by leading Marxist critic Terry Eagleton, ‘The Slow Death of the University’ which discusses how we are witnessing ‘an event as momentous in its own way as the Cuban Revolution or the invasion of Iraq which is steadily under way: the slow death of the university as a center of humane critique’, and how the critical distance between the university and society at large -- which allowed them to ‘reflect on the values, goals and interests of a social order’ -- is now being ‘diminished almost to nothing, as the institutions that produced Erasmus and John Milton, Einstein and Monty Python, capitulate to the hard-faced priorities of global capitalism. Providing details of this phenomenon, Eagleton tells us how the focus has slowly shifted from governance (of universities) by academics to rule by hierarchy, how teaching is becoming less important than research because it ‘brings in money’ and how ‘professors are transformed into managers, so students are converted into consumers’ and how ‘deep-seated political and economic forces’ have come to ‘shape syllabuses’. Anyone who has closely watched developments in the field of education in India -- especially higher education -- would vouch for the fact that the ascent of Hindutva supremacist forces at the Centre has perhaps added a new angle to what is being described as the ‘slow death of university’, which is accompanied by breaching the wall that separates government and academia, dissolution of institutional autonomy, curbing democratic rights of students and teachers and criminalisation of dissent under the twin logic of privatisation and saffronisation of education. The latest act in this series is the move by the Bharatiya Janata Party-led National Democratic Alliance government which has moved to bring classes, exams and paper evaluation at Delhi University under the Essential Services Maintenance Act, which would allow teachers to be imprisoned for holding strikes. It is a despotic move by the University Grant Commission (UGC) at the behest of the MHRD (Ministry of Human Resource and Development) to form a working group which is tasked to explore options to dissolve institutional autonomy and throttle democratic rights of one of India’s largest institutions of higher learning, the Delhi University. “The move to bring academic activities under ESMA will prevent faculty from holding any agitation or instigating any colleague to join a strike on any academic or other issue. They will face a non-bailable warrant. The right to protest and dissent will be taken away completely.” a representative of teachers told a news conference recently. ESMA also includes some other stringent clauses, which has harsher provisions for giving financial aid to any movement or protest. And if the plan gets a go- ahead -- which is now mere formality -- then teaching, non-teaching staff and students will be prohibited from indulging in actions which can effect or disrupt these activities. What prompted the HRD Ministry to introduce such stringent provisions like ESMA against teachers despite knowing that ‘teachers are not mere service providers, but creators and disseminators of knowledge and informed opinion? The fact is that teachers in Delhi University have always remained in the forefront of struggles by university and college teachers all over India and the government wants to discipline them. It also knows that if Delhi University is made to fall in line with this new design, then other universities - Central as well as State -- can easily be compelled to adopt similar rules. 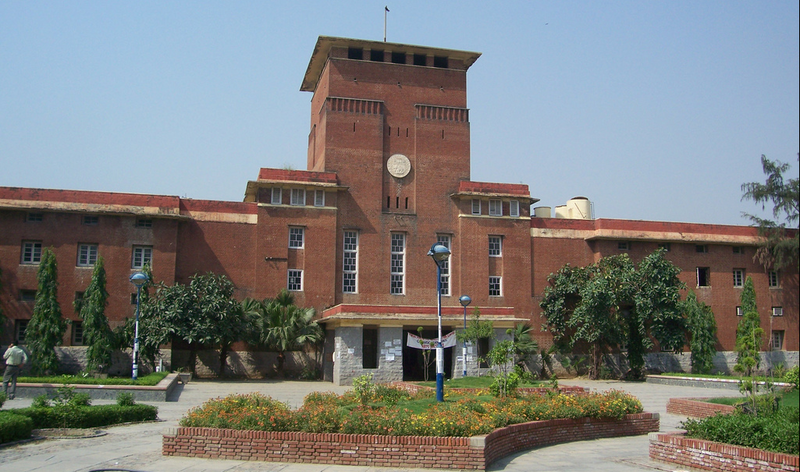 ‘Pilot’ Project in Delhi University? This ‘pilot’ move to rein in Delhi University teachers is just a step ahead on the way the UGC wants to model all the central universities. It would lead to the formal breaching of the wall which separated the government machinery from the world of academia, which facilitated independence of thinking, freedom to dissent and act on dissent. Five months ago, the University Grants Commission (UGC) had communicated its plan to all the Central universities which categorically told them that all those educational institutions who take funds from the Central government will have to abide by the Central Civil Services (Conduct) Rules. And if somebody dares violate this rule then the government will have the right to dismiss the employee. Effectively, the adoption of these rules by any university means the freedom, the autonomy which an academic had got to produce new knowledge and share it with others, stands compromised. Perhaps, the custodians of the country now feel that times have changed and the parameters need to be changed to sustain oneself in the ‘competitive global environment’. As of now Jawaharlal Nehru University (JNU), which has been in the forefront of implementing the agenda of the powers that be quite vehemently -- right from asking Central ministers to procure a military tank for display to spark ‘patriotic sentiments’ among students or ‘celebrating’ surgical strikes day as per directions of the UGC -- has become the ‘first’ among the plethora of Central universities to adopt it. It is just a question of time but sooner or later all the central universities (according to an old estimate the number is 45) will have to adopt these rules unless they decide to stop taking funds from the central government. No doubt, starving universities of funds which leads to ‘to close campuses, eliminate student services and lay off workers’ or compelling them to justify their existence by acting as ancillaries to entrepreneurship’ is rather a direct way of putting educational institutions on the path of dismantling them or facilitating their privatisation by backdoor. But, saffron forces have demonstrated that there could be other rather insidious ways as well, which can squeeze any meaning of the university. The government very well knows that turning universities into another government department or using ESMA to crush voices of dissent would severely restrict independent thinking and would have severe bearing on creating new knowledge but why they should be bothered when they believe that ancient rishis have already developed all the knowledge which is in vogue today. Does anyone need any extra proof than the ‘pearls of wisdom’ the honourable PM himself shared at the inauguration of a hospital by Ambani where he talked of presence of plastic surgery and genetic engineering, in ‘our shastras’!